My world turned upside down on April 16, 2018, when six agents of the Philippines' Bureau of Immigration came to my house to arrest me. From being unknown, except by those who did actually know me, I became a public figure. I was told by the authorities that they wanted me to go with them to answer some questions. But as things unfolded, it became clear that the intention was to immediately deport me. However, due to a quick response of people I work with at the Agricultural Workers' Union, and the arrival of lawyers from the peasant and human rights sectors, the deportation did not take place. 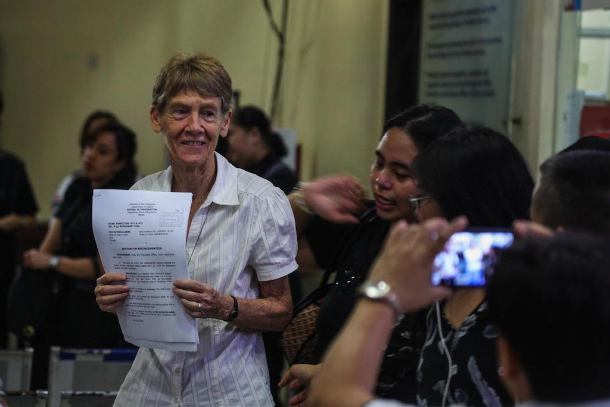 Until now, with continuing support of various groups, including different churches and the untiring work of lawyers, I remain in the Philippines. I am still amazed at this support, which I hadn’t expected. Even people I meet in the streets tell me that they are praying that I stay. The security guards whose office I stayed in overnight were quite sympathetic. They allowed people to bring food, blankets and pillows for me and two companions who stayed with me. 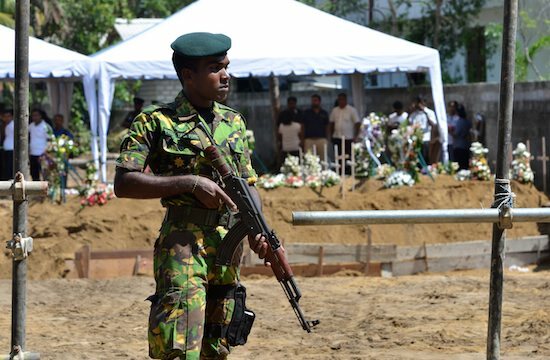 The following day, the guards also allowed in a constant stream of visitors, including bishops, priests, sisters, congressmen, people from the community and friends. In fact, the security guards became very protective of me, especially when I was to be released and they saw a crowd of reporters outside. They were frightened that I might be hurt. It has been a very tense time for me, never knowing what will happen next or whether agents will be back on my doorstep to rearrest me. This was especially so when I discovered that it was President Rodrigo Duterte himself who ordered my arrest in April. While I expected the deportation process to proceed as allowed by law with a right to appeal, suddenly the Bureau of Immigration cancelled my missionary visa and gave me 30 days to leave the country. They claimed that I had no right to due process, but after appeals the Department of Justice returned the case to the Bureau of Immigration, saying that there was no provision for forfeiture of my visa as everyone had the right to due process. I felt a sense of relief in some ways, knowing that at least I still had a visa. But now the deportation case is going ahead. I can't understand how I can be so uppermost in the president's mind, and clearly he hasn't done much updating on scripture and the teachings of the church. He also repeated his tirades about interfering foreigners, so I am once again a little uneasy. 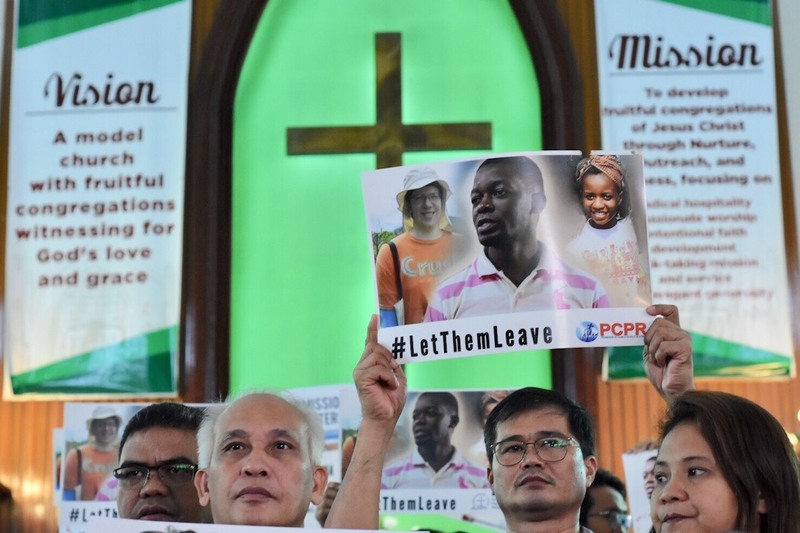 But the whole incident has challenged me to think of my role as a foreign missionary and to verbalize why in early April I joined a fact-finding mission to interview victims of martial law declared in 2017 on the southern island of Mindanao. And I have been able to explain why I have always been supporting struggling farmers, fisherfolk, tribal people, workers and urban poor; advocating their calls for land, regular work, housing and respect of their human rights. The Bureau of Immigration claimed I breached the conditions of my missionary visa, defining a missionary as one who teaches religion and converts people to their faith. I have been asked to give several talks before various church groups about my mission, and I think talking, especially in Filipino, makes me even more nervous than facing the deportation case, given that I have always avoided being in the public eye. Often, facing the media has been a challenge for me. This experience has sent me back to the Bible where we discover a God of justice and compassion who hears the cry of the poor: a God who calls on us to act. I have gone back to Vatican II and its call for us to be a Church of the poor. I have reviewed the social teachings of the church, making it clear that promoting justice is an integral part of evangelization. I have also discovered that living the Gospel teachings can get you into trouble with authorities. 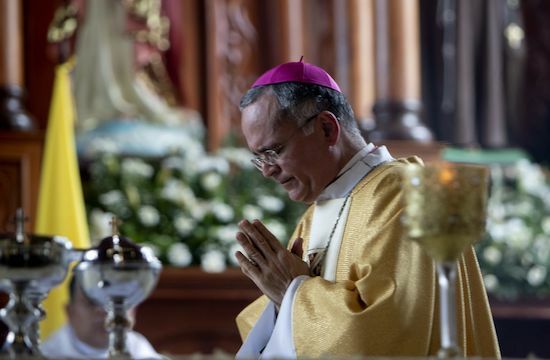 The incident that precipitated the president's anger was when I dared quote the social teachings of the church to workers who were asking for regularization of their work with just wages and benefits due to them under the law. Pope Francis said that we cannot be silent in the face of grave human rights breaches. He reminded us that justice requires systemic change. Through this reflection on the Bible and the social teachings stemming from it, I have reaffirmed my passion to work for the reign of God where everyone is respected and can lead a dignified life. There is the lingering feeling of uncertainty over what will happen to me, but I am buoyed by those who have placed confidence in me as a missionary. 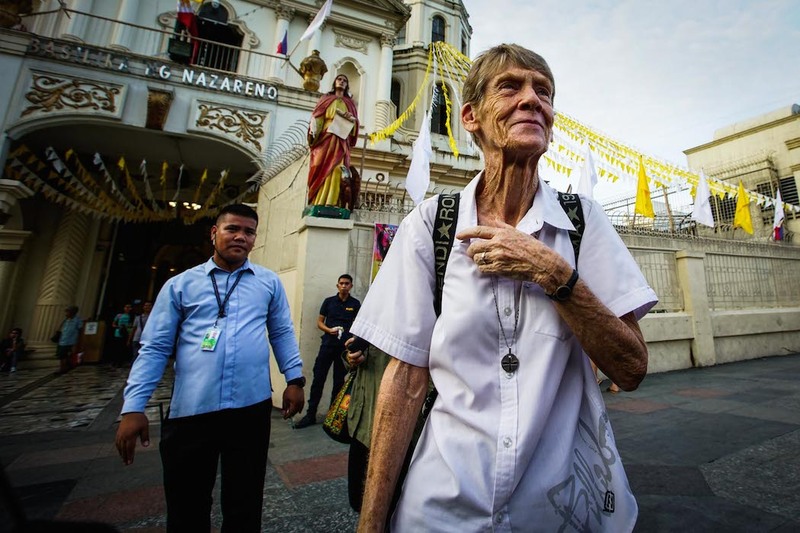 Australian missionary nun Patricia Fox of the Congregation of Religious Sisters of Our Lady of Sion has been working in the Philippines for 27 years. 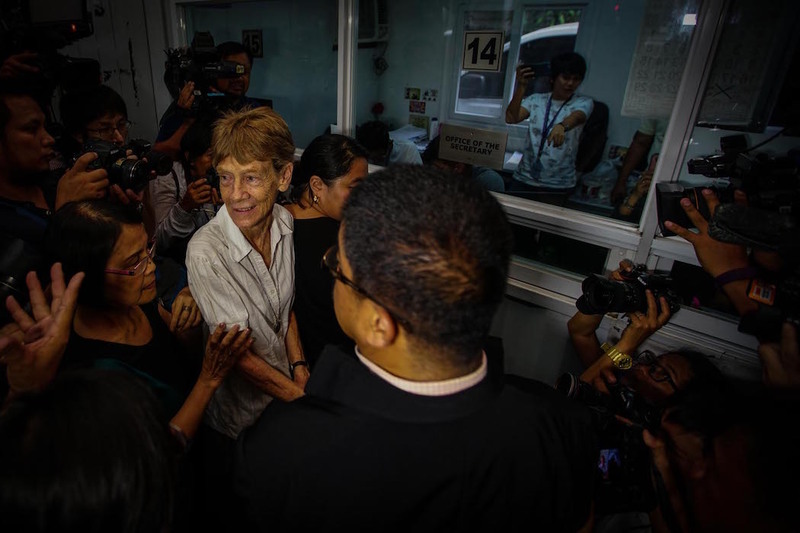 She was arrested and detained in April for allegedly participating in "partisan political activities" after joining a fact-finding mission into reported human rights abuses in Mindanao.